In the middle of this government shutdown over a border wall, little attention has been given to the environmental impact of said wall. Wait, I take that back. Thousands of scientists have warned our illustrious leaders about the severe impacts of a wall, yet they are not listening. But the impacts are real and the consequences are severe. To start, several endangered species of plants and animals live along the border between the United States and Mexico; wall construction, monitoring, and maintenance will further threaten their survival. A wall would also fragment habitats, isolating plant and animal species and limiting their range and breeding. In addition, migration routes will be cut off. Walls worsen flooding. And more natural places, including many ecologically sensitive areas, will be degraded to suit human needs. Finally, dozens of the country’s environmental laws must be stomped on, shredded, or shoved aside in order to build a wall. Among the species affected, the Mexican gray wolf. It is listed federally as endangered. They have been at risk for extinction for decades – their numbers dropped to only 5 in the late 1970s. The survivors were captured and scientists began to breed them in captivity. The offspring were reintroduced to their native ecosystem in 1998. 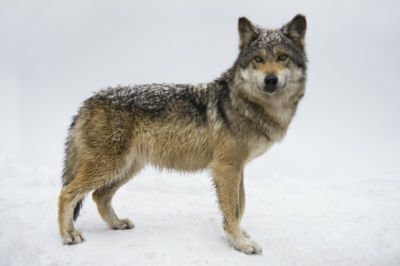 However, as of 2018, there were only 114 known Mexican gray wolves in the wild.